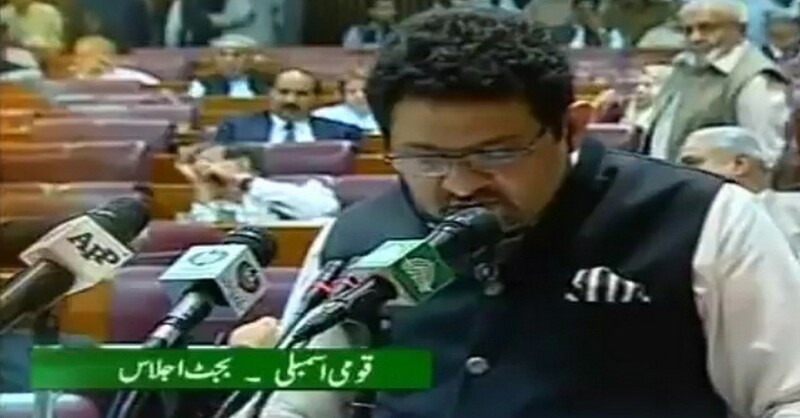 The federal budget was presented on 27th April 2018 by Minister for Finance, Revenue and Economic Affairs, Dr. Miftah Ismail. The total outlay of budget 2018-19 is estimated at Rs 5,932.5 billion. The budget session started at 5 pm and the opposition leaders initially walked out and recorded protest while the federal minister was presenting the federal budget 2018-19. Individuals income exempted upto 12 lacs. A nominal tax of 1,00 rupees will be levied on annual income of 4 lakh to 8 lakh while Rs. 2,000 will be taxed on income of aove than 8 lakh and below 12 lakh. Tax on individual income from 12 lacs and above will be taxed as per slab which has been decreased. Data mining introduced for finding new tax payers. Remittance upto 100 thousand dollars are exempted from any sort of investigations and tax. Any amount above this value could be investigated by tax agencies. Immovable assets: The government can purchase the immovable property by paying the double the price of value mentioned in registered deed, within six months of the registration. FBR rate for property valuation stands abolished from 1st July 2018. Filer tax rate will be 1% against property sale and purchase. GST exemptions same as per last year. REIT schemes will have flat 5% income tax rate. Audit of companies will be allowed once in 3 years. Super Tax to be decreased by 1% each year to end it up.